Hiding a calendar allows you to shorten your calendar list while still retaining access to shared calendars and public calendars. When you hide a calendar, that calendar will not appear in your calendar list to the left of the event grid. You can always access hidden calendars in your Calendars menu. Go to your Google Calendar (http://www.google.com/calendar/a/lehigh.edu). 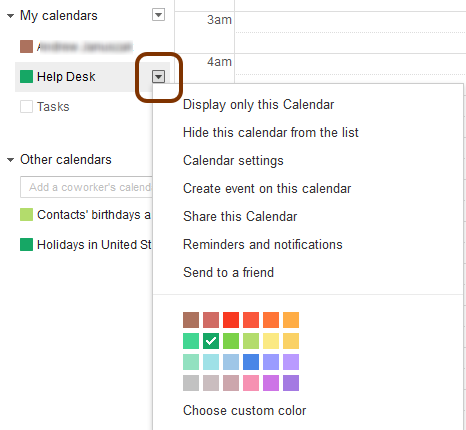 In your calendar list on the left side of the page, click the down-arrow button next to the calendar you want to hide. 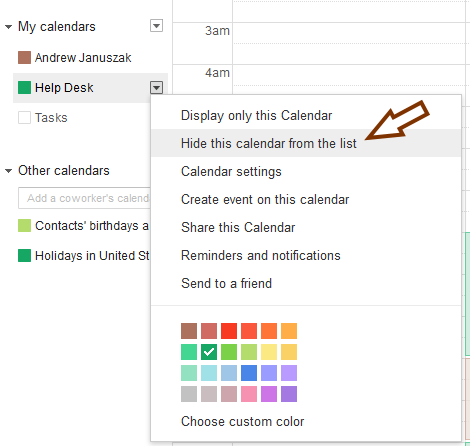 Select Hide this calendar from the list from the drop-down menu.